Fitbits, the little bracelets that track your heart rate and a few other health metrics, are hot items. But what about people whose most arduous workout is nothing more than raising a piece of glassware – stemmed or otherwise – repeatedly to their mouth. 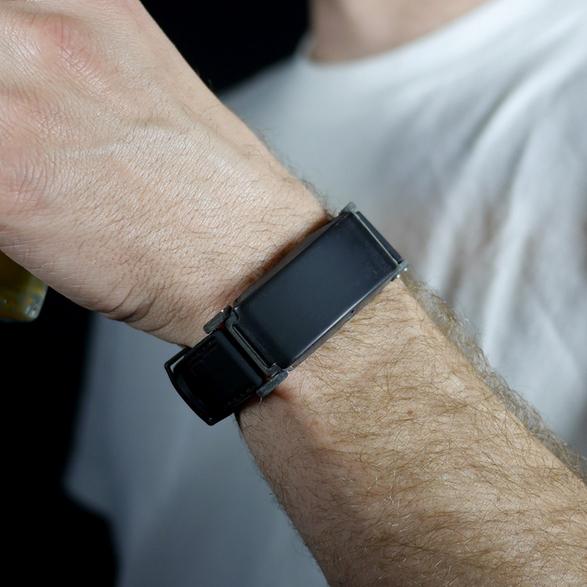 For those tipplers looking to track their own progress over the long haul, a new device from BACtrack called Skyn may be the future of blood alcohol content monitoring. Granted, Skyn was not really designed for recreational use. Instead, the National Institute of Health announced it as the $200,000 top prize winner in the National Institute on Alcohol Abuse and Alcoholism’s “Wearable Alcohol Biosensor Challenge,” which was launched in March 2015 in the hopes of finding a “discreet, non-evasive wearable device capable of measuring blood alcohol levels in near real-time” and intended “to improve upon existing alcohol biosensor technology used in the criminal justice system and create an alternative for the alcohol research community,” according to a BACtrack press release. That said, though Skyn currently only exists in prototype form and has not yet even been submitted to the FDA for approval, BACtrack does have a track record of releasing devices for personal and recreational use. The company, which bills itself as “the leader in breathalyzers,” currently markets smartphone-connected personal breathalyzers, and the brand has previously harnessed data collected from those users for such noble causes as figuring out what day Americans drink the most on and which NFL teams have the drunkest fans. What makes Skyn so unique is that the wristwatch-like device is able to measure BAC levels from sweat on a user’s skin over a prolonged period. “It can help doctors accurately measure a patient’s drinking history, and not just depend on the most recent tests,” said Dr George Koob of the NIH, according to Reuters. What Skyn can’t do, however, is figure out a user’s BAC instantaneously since alcohol takes about 45 minutes to be transmitted through the skin, meaning in its current form Skyn won’t be able to replace breathalyzers or blood tests. It’s also unlikely to replace your real watch – unless of course you’re on such a strict drinking schedule that you can tell time by your BAC. Still, whether for research or legal purposes, or possibly even recreationally tracking your BAC through a night out on the town, Skyn is definitely a breakthrough when it comes to tracking your body’s blood alcohol content.